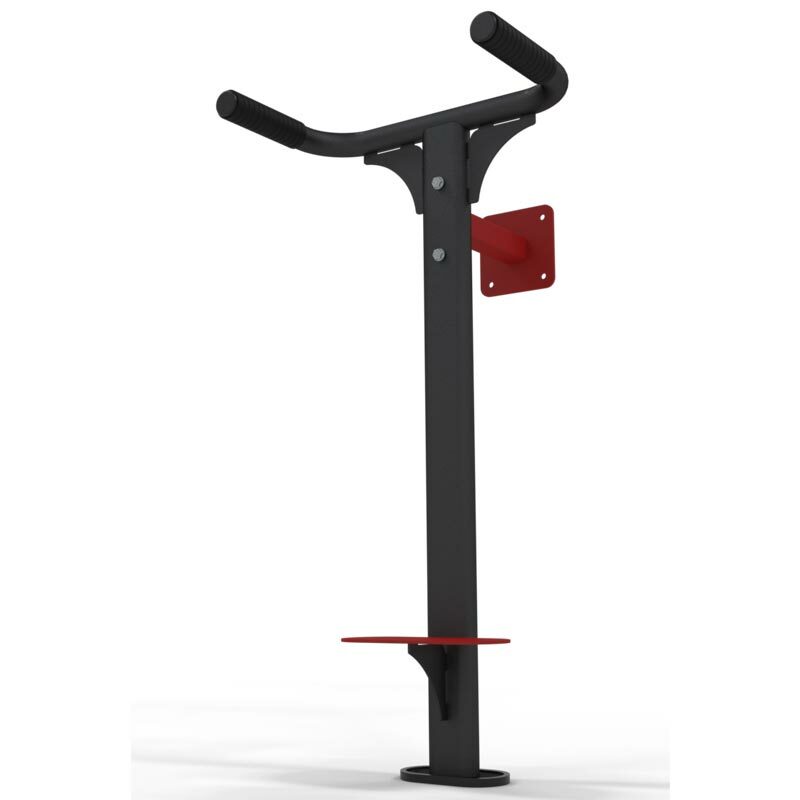 The Exigo Wall Mounted Dipping Frame is a great space saver, suitable for home or gym use and ideal for building the arms and chest. This training station incorporates a walk on platform and large diameter handles to help maintain a stable yet comfortable grip while in use. Dimensions: D61cm x W64cm x H130cm.